Mad Tom Brady is the best Tom Brady. Coincidently, "Against the Jets Tom Brady" is also the best Tom Brady. Sunday offers a perfect storm of the two. After being thrown around the field by the Tampa Bay defense, Brady will be out for revenge against the team he loves to torment the most. The Jets defense is middling at best and will have no shot at handling all of the weapons that New England will throw at it. 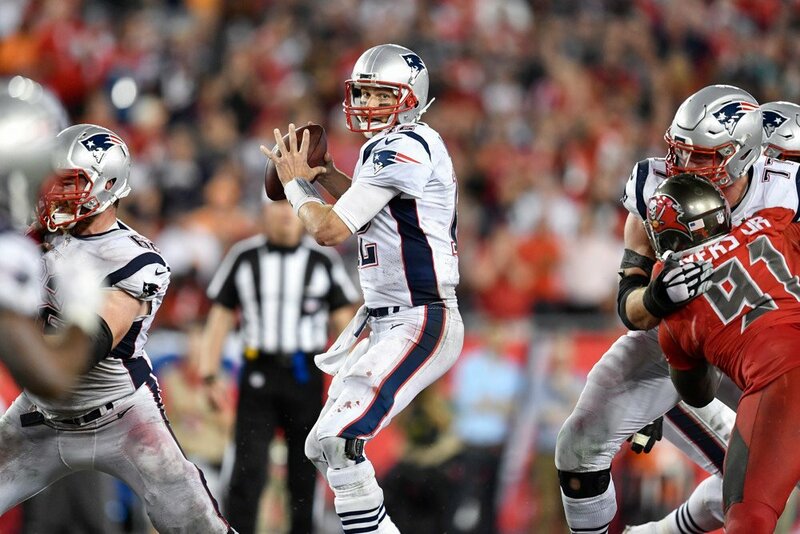 Look for a huge day for Tom Brady, making him well worth the investment it will take to buy in. Even in what is one of his toughest matchups of the year, it's difficult to rank Aaron Rodgers outside the top three. He leads the league in touchdowns and was magnificent in a comeback win against the Cowboys. Minnesota sports a top tier defense, but has been exploitable in the pass, ranking 20th. Rodgers provides the highest floor of any quarterback in the league and with Brady, is the safest choice for week 6 production. Matthew Stafford has been a fantasy disappointment so far this year, but week 6 hands him his most promising matchup to date. The Saints have the 27th rated pass defense in the league, and even though it's a road game for the Lions, they are afforded their preferred dome environment. Stafford is being ranked like a low tier QB1 but that should be seen as his floor in this matchup. Look for him to out preform this projection at a cost effective price. After a slow start to the season, one that can be attributed to recovering from a torn rotator cuff, Cam Newton has put together back to back massive weeks. His 6 to 1 touchdown to interception ratio and 671 passing yards put him back to elite status as a starting fantasy quarterback. Add in the fact that Newton gets the 28th ranked Eagles pass defense at home, and Newton should easily clear his 12th ranked projection and makes for a great value play. Marcus Mariota is still considered day to day for the Tennessee Titans and will have to be monitored closely this week. Without putting in a full practice, it would be very risky to rely on him as a fantasy asset. But if he does play, look out. The Colts defense is in shambles and would immediately push Mariota into the top tier of starting quarterbacks. Check back at the end of the week, and Mariota is a go, use him as a cheap starting QB with huge upside.